Pennsylvania-Based Significa Insurance Group, Inc. is the subject of this Significa Health Insurance review. Information about this company is somewhat confusing due to how it provides products and services through its main organization and its subsidiaries. Current policyholders should interact directly with the company if they have questions or concerns rather, than relying on the information found here. Receive quotes for health insurance plans now by entering your zip code now! Significa was originally founded as an insurance provider in Jacksonville, Florida in 1901. Since their founding, they have relocated several times, finally settling in their current location in Wilkes-Barre, Pennsylvania in 2007. Up until that time, the company was known as Peninsular Life Insurance Company. As of 2011, there appears to be two main companies operating under the Significa name: the Significa Insurance Group and Significa Benefit Services. Furthermore, they have exited the individual insurance market in Arizona and Ohio. This action ostensibly took place in January 2010, but did not affect the operations of Significa Benefit Services. No details have been offered to explain why Significa chose to exit the insurance market. However, records with the state of Texas indicate the company is currently under some sort of undefined disciplinary action. Significa does have a checkered past which seems to indicate that perhaps the current disciplinary action is the result of continued poor business practices from this company. As further evidence, Significa’s license was twice suspended in the state of Illinois and once in Maryland during the 1990s. All Significa healthcare products are now made available through Significa Benefits Services. This subsidiary provides health, dental and vision, disability, prescription drug, and COBRA and cafeteria plans to employers and other groups, who then offer them to their individual employees. As part of the overall benefits package, employers are able to pick and choose from a list of plans in order to determine the best package for their employees. Their health, vision and dental, and prescription drug programs all work through a PPO model. Policyholders have access to the EHP Significa network, which provides health care providers and medical institutions participating in the network. By utilizing this network, Significa is able to offer a full range of products and services at a reduced rate agreed to by network members. Policyholders utilize network providers whenever possible. In addition, the company provides third-party benefits management services for government entities and large companies. This is accomplished through self-funded insurance programs they would manage on behalf of their clients. Brokers are an important part of Significa’s business. They represent the company in selling policies to customers and then servicing those polices. It’s not clear whether brokers deal with both individual customers and commercial clients or they are limited to one of the other. The company doesn’t provide a broker locater tool on their website, which seems to indicate their brokers might be limited to commercial dealings only. Brokers have full access to a wide range of tools by logging on to a dedicated portal linked on the company’s corporate website. There is also a link on the website describing how Significa works with brokers and what is expected of them should they decide to represent the company. As far as we can tell, Significa Insurance Group is not part of any financial ratings services companies like A.M. Best or Standard & Poor’s. Seeing that affiliations with ratings services is completely voluntary, some insurance carriers choose not to be rated financially for one reason or another. Although it is to the insurance companies benefit to receive financial ratings, some choose not to receive them. This seems to be the case with Significa. Nonetheless, every insurance company in the United States must file regular financial reports, which indicate the health of their company. 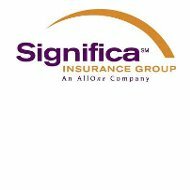 As of the end of the 2010 calendar year, Significa Insurance Group appeared to be doing reasonably well. However, their numbers indicate that they are not doing as well as some of their larger competitors. Records show the company listed working capital at the end of the year near $2.7 million. Their total assets were listed at $31 million with a total policy surplus of $4.9 million. Although we cannot say for sure that Significa is a risky company, the combination of their history, their financial listings for 2010, and their exit from certain commercial and individual markets, indicates they may be a company on the decline. At least for individual insurance policies consumers should thoroughly investigate Significa before agreeing to do business with them. Still looking for health insurance? Use our online search tool and enter your zip to locate providers in your area.